Sometimes there may be an educational component. And always good company and snacks! 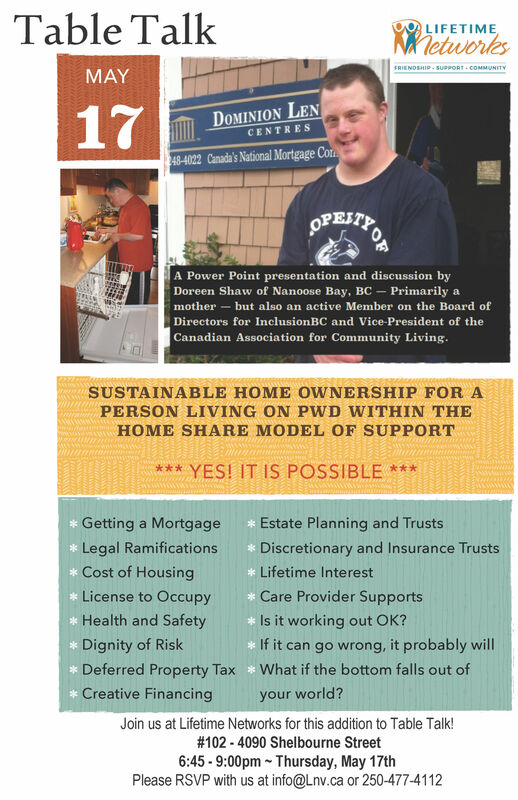 Our May 17th Table Talk will be featuring a PowerPoint presentation and discussion by Doreen Shaw; mother, InclusionBC Board of Directors member and Vice President of the Canadian Association for Community Living! Click here for more information about Doreen and her presentation.